My kitty just won’t wear her collar! 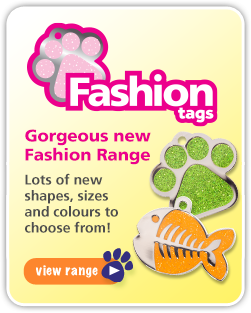 So you’ve bought a beautiful new cat collar and personalized pet tags for your cat. But you can’t seem to get your cat to wear it! Every time you put on her collar, she squirms, paws at her neck, runs in circles and even seems to pout! Or worse? You keep finding the breakaway collar ditched at various locations throughout the house! 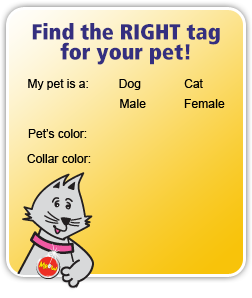 Start without pet tags. These can serve to remind the cat that he’s wearing the collar, causing him to mess with it. 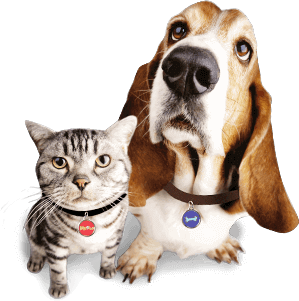 So wait until the cat is accustomed to the collar before you put on the pet tags. Opt for a stretch collar instead of a breakaway closure while your cat’s getting accustomed to the collar. Breakaway closures simply pull open when enough force is applied, so once they’ve learned how to get it off, it can be difficult to get your cat to keep its collar on! Instead, opt for a cat collar with a stretchy elastic segment. This too breaks if the cat gets hung up, but it’s not as easy for the cat to remove it on her own. With these tips, your kitty will be collar-friendly in no time!